One of the largest battery manufactures in the world. 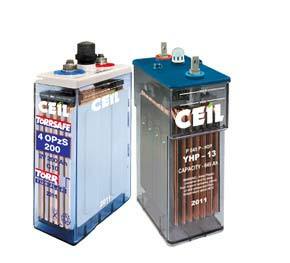 Exide (India) Industries Limited has led the way in bringing the best and latest of battery technology into India. Formerly known as Chloride India Limited, it traces its heritage to Chloride plc, UK, the pioneers of commercially produced batteries. In South & South East Asia, Exide (India) is the largest battery maker by far with the widest range of Pasted Plate, Tubular, Plante and SMF VRLA batteries. Technology, innovation, quality and a country-wide service network set it apart from the competition. 6 factories strategically located across the country. The only company in India to manufacture batteries from 2.5 Ah to 20,400 Ah. Collaborations with Shin Kobe and Furukuwa of Japan. Subsidiaries in Singapore, UK and Sri Lanka. Fast growing exports, currently to 30 countries in 5 continents. R & D Centre, set up in 1976, is counted among the premium battery research facilities in the world and is approved by the Dept. Of science and technology, Govt. of India a independent test laboratory. Certified with ISO 9001 and ISO 14001.